High-Definition Multimedia Interface or HDMI is the most needed type of cable for high-quality video interface. However, the Digital Video Interface or DVI cables are still existing in some devices. It is often paired with some PC graphic cards, but you can also find them on different TVs, DVD players, and Game Consoles. Sometimes, people buy an HDMI cable and a DVI adapter for a signal transfer. This is because a long HDMI cable is cheaper than a DVI to HMDI cable. Getting a DVI to HDMI cable or an adapter has no difference when it comes to image quality, but keep in mind that these cables only transfer videos. If you’re looking for the best DVI to HDMI cable or adapters, then look no further as we would list down the best DVI to HDMI cables and adapters in this article. 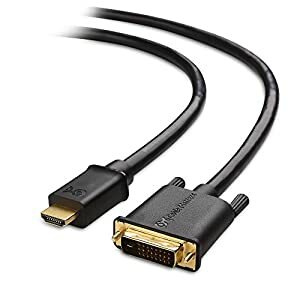 What is a DVI to HDMI Adapter Cable? 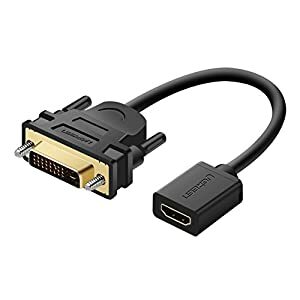 A DVI to HDMI cable is a bi-directional converter, which allows you to connect a device with an HDMI display into another device with an output of a DVI display, or you can display an HDMI signal enabled device on a DVI monitor. A DVI is a form of digital signal that is in the same format as the HDMI’s video portion. The only difference is that DVI doesn’t transfer audio signals unlike HDMI does. 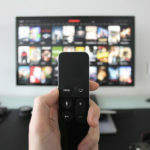 It means that if you only want the video signal, you can use a DVI to HDMI adapter, which changes physical connections. But if you want to go from a source of DVI with audio, you’ll need to have an active converter that can combine the audio signal and the video from the DVI source into the HDMI signal. So for these types of cables, like what we’ve mentioned before, a DVI and HDMI cable uses the same video format for video signals. 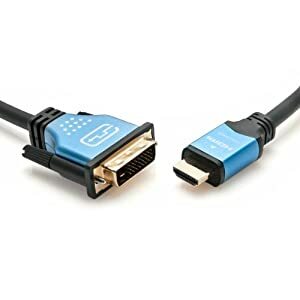 Therefore, if you’re only using a video signal, you can just use a simple HDMI to DVI cable or adapter which changes the physical connection. But if you need to use the HDMI connection’s audio signal, you’ll need to have a fully active converter which separates the audio and video signal apart. It sends the video over to DVI and the audio over to other connections. Looking for the right DVI to HDMI adapter isn’t really complicated, you’ll just have to know the right DVI and HDMI connection that you want to use. You’ll need to consider some basic quality concerns and compatibility issues. As a tip, the cable’s build quality is more important if you are planning on using it for years. It would be much better if you get an adapter or cable that won’t fall apart on you, especially if you needed it the most. The reason why HDMI products are so popular is that of its reliability, capability, and versatility. It can handle video data, ethernet connection, 3D content, audio data, and some other features that you might haven’t thought about. If you use an HDMI or DVI cables at a lengthy distance, you might end up having signal problems. But despite its signal degradation, the formats aren’t as bad as most old analog AV cables, but they’d still suffer because of the length. If you don’t need a 15-foot cable, then consider getting a shorter one. But if you do, try not passing the recommended maximum length of DVI content, which is 15 feet. A full loaded HDMI cable contains about 18 pins. Each pin of the cable chips-in to provide the necessary range to be able to carry 4k content, SDTV, HDTV, and others. Among the list of HDMI cables, there are also an array of connection types. The standard type would the one we know most, while the dual-link HDMI is wider and contains several more pins. The mini version is a bit smaller than the standard type, and the microformat is a bit smaller than the mini version. 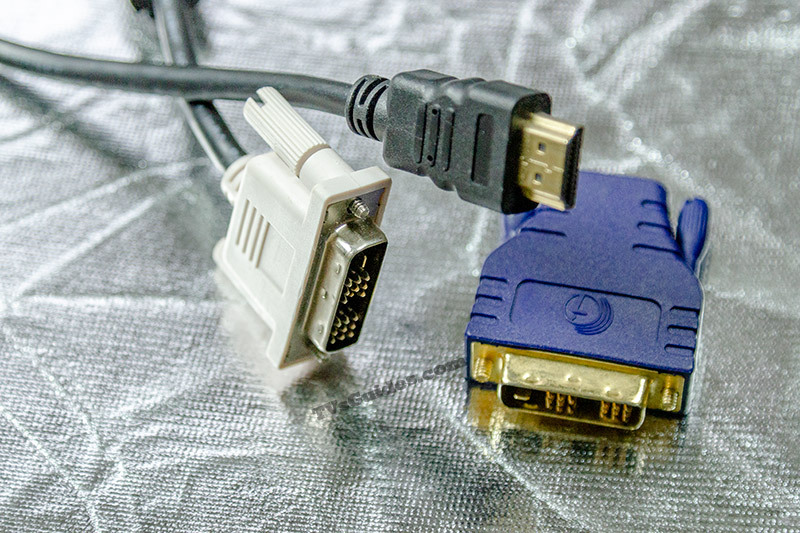 The DVI-I version is an integrated variety that supports analog and digital connections on the same connection. The DVI-D only supports a digital variety. The DVI-A only supports an analog variety. The differences are an important thing that you need to consider as they not only support the content, the physical plug differs as well. Choosing the wrong or cheap cable or adapter can significantly drop your video’s quality. Most of the time, the drop in quality occurs in small quantities and most people don’t notice it. Having an adapter that has a secure fit on your electronics could solve half of the total problem. However, you may want to make sure with a firm connection, it would also have quality construction. As for DVI to HDMI adapters, if you want them to last for a year or more, choose a product that isn’t too cheap or expensive. Adapters carry some of your information in the signal, and there are lots of chance that it could drop some of it. Cable corrosion, which usually happens because of humid environments or water, can worsen your connection. Fortunately, avoiding these kinds of corrosions is fairly simple like opting for a gold-plated adapter cable. You might also need to check the cable’s protector if it’s a braided fiber cable, or if it has an extra layer of the shield. Looking for the best DVI to HDMI adapter or cable could be quite confusing since there are a lot of options that you can choose from in the market. From cheap to expensive and to buying fake ones without knowing about it. Therefore, to make things easier, and to prevent yourself from buying fake ones, the items listed below are the best cables and adapters that you can find in the market. This specific brand of HDMI to DVI cable can provide everything that you can expect from it. The product’s construction is very clean and sturdy, but its most important feature is that it provides cabling and it comes in different lengths. This specific cable adapter is ideal for setting up a monitor, home theater, or HDTV. You can get this cable in either 3 feet, 6.6 feet, 10 feet, 15 feet, 25 feet, and 35 feet. In each of the case, the cable is using a gold-plated connector which provides excellent protection from corrosion and signals conductivity. As for the cable’s physical appearance, it has a thick CL2 jacket, which provides additional protection to your signal. BlueRiggeris included with a lifetime warranty. However, keep in mind that from the DVI’s end, the cable wouldn’t be able to transfer the audio. 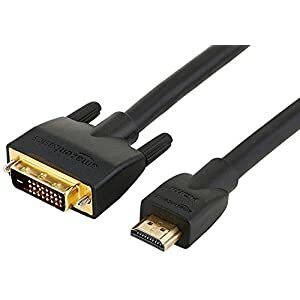 If you’re looking for an ideal cable that can connect your notebook to any HDMI enabled TV, then the AmazonBasics HDMI to DVI cable would be the best option for you. With a length of 6 feet, it would be long enough without making a mess in your living room or entertainment unit. The cable is even compatible to backward, which means you can use to older DVI signals such as DVI-I and DVI-D. This product is available in 3, 6, 10, 15, 25, and 35 feet cable. As for the cable’s net jacket, it has a nice and thick coating which adds more protection from damages and prevents the metal wires within from being severed throughout its usage. With its ability to transmit HD-quality video with up to 4k resolution and 18gbps bandwidth, it makes it an ideal cable for TVs and gaming consoles. However, the only downside of this product is that it doesn’t have an audio capacity. If you want a good-looking cable that is very reliable, then you’ll love the Rankie DVI to HDMI adapter. It is designed to convert HDMI to DVI and vice versa, which enables you to connect two devices that you own. 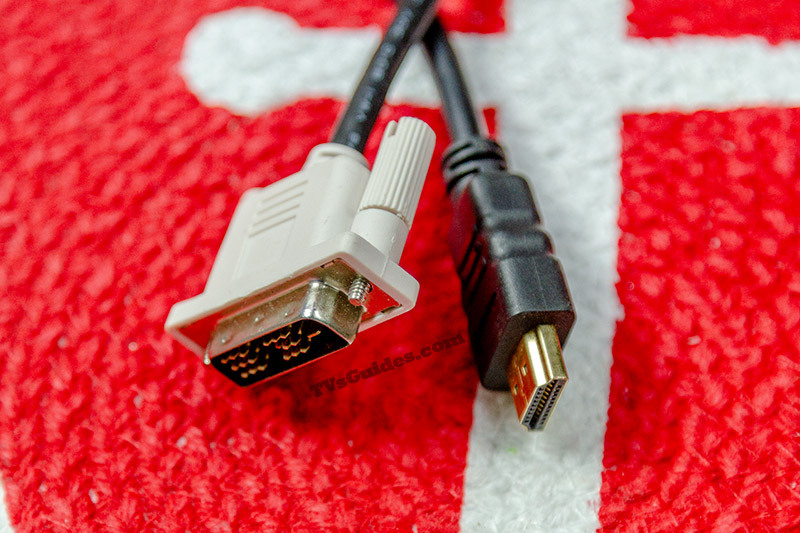 Whether you are connecting your computer to your TV, setting up a gaming system, or connecting two TVs, this cable would effectively do the job. The adapter comes in white or black, so choose the color that can complement your appliance well. Since the adaptor is bi-directional, it is great to be used at home or office. It can transfer a video resolution of up to 1080p HD, which makes it an ideal adapter for home theater. The great thing about the product is that the connectors are gold-plated, which ensures a maximum resistance to wear and tear. The StarTech cable has an unusual appearance than the previous products above. 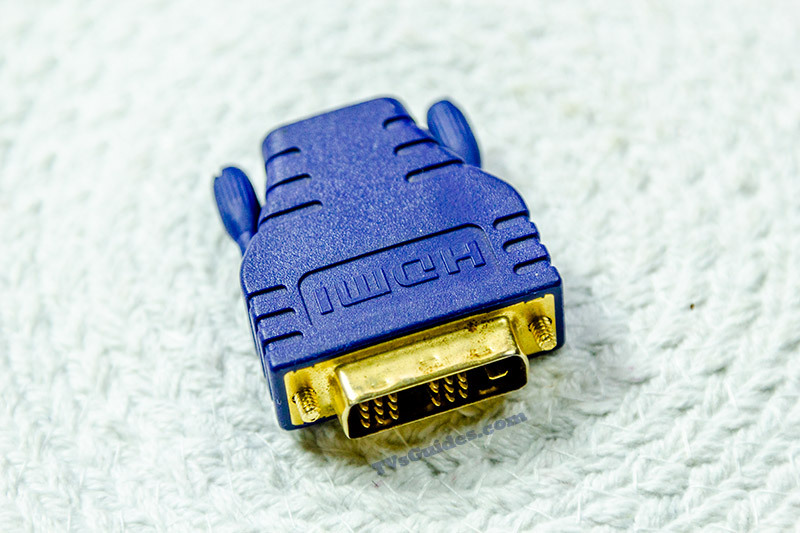 While some of the products above use a male DVI to male HDMI connection, the StarTech adapter is available in an unusual male DVI to male HDMI configuration. The manufacturer also offers a male to female products, but this unique looking adapter could allow you to pair your monitor, laptops, and other devices together. The downside of this product is that it only in a length of 8 inches, so it only provides you an ample distance to make a connection to your electronics. However, using this cable adapter may also mean that you won’t have to use multiple adapters. It also provides you with a broad range of devices that you could connect together. If you’re looking for a great HD video connector, you would surely be satisfied with what the KabelDirekt cable can provide you. You can connect your DVD player, game consoles, computer, HDTVs, or other DVI-HDMI enabled devices and enjoy a 3D HD and up to a resolution of 1920x1080p. This is a bi-directional video connection which provides a high-quality video. The cable is covered with a thick aluminum braiding and Alu mylar foil for maximum protection. 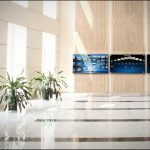 It protects it from interference and a strong signal from the oxygen-free copper wires to achieve a high-quality display. It also has a gold-plated connector for extra protection. The cable comes with an 18-month warranty to ensure customer satisfaction. 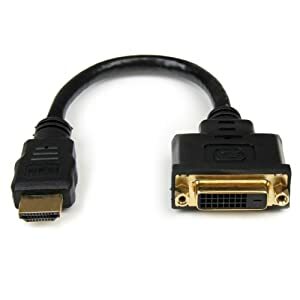 For an effortless connecting, you should purchase one of these reliable bi-directional male DVI to female HDMI cable. The cable enables you to connect a laptop, game consoles, TVs, and more. For maximum protection, it is covered with a double aluminum foil and a braided tinned copper to protect the cable from electromagnetic interference, radio frequency interference, and the transfer stable signal between the electronics. With a 24k gold-plated connector with a function of anti-corrosion and anti-oxidation, it would protect the cable for wear and tear while it ensures a high-definition of signal transmission. For reliable two-way connection, the CableCreation adapter is a great choice for you. 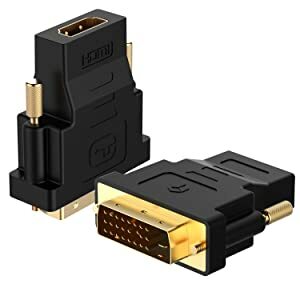 The adapter is compatible with male and female HDMI and DVI, which allows you to connect your devices easily. With a gold-plated connector and a sturdy plastic shell, the well-built and durable adapter could last for a couple of years or so. 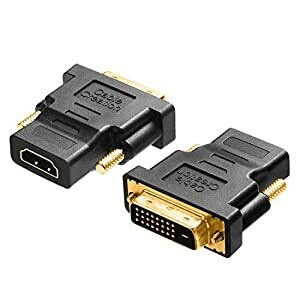 One adaptor comes with a male DVI and a female HDMI connection, while the other is opposite from the first one. The product can support to up to a video resolution of up to 1080p HD, but the audio should be connected separately. Unfortunately, this product only comes in black, so for those who want another color option, you won’t find it in this product. 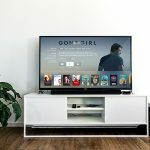 The reason why a lot of people love this product is that it is compatible with all HDTV formats, it has great workmanship and made with quality materials, and it has a lifetime warranty and product support. Its high compatibility is pretty reliable as it enables you to connect easily on any electronics with great image resolution. It provides a resolution of up to 720 to 1080p. Since it comes with a gold-plated connector, the cable is resistant to corrosion and damages. With a lifetime warranty, you can always exchange your product in case it doesn’t work during usage. The cable comes in a 6, 10, 15, and 35 feet length, so choose the right cable length for you. 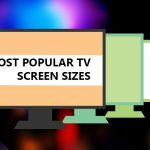 Whether you need a new cable adapter or not, at least this article could help you out in the future once you look for a great DVI to HDMI product. 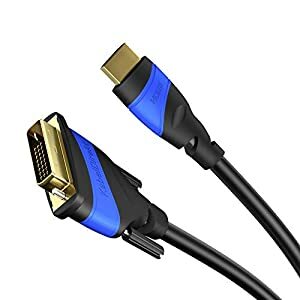 But before you purchase an HDMI to DVI cable or adapter, make sure that your devices support an HDMI to DVI connection.